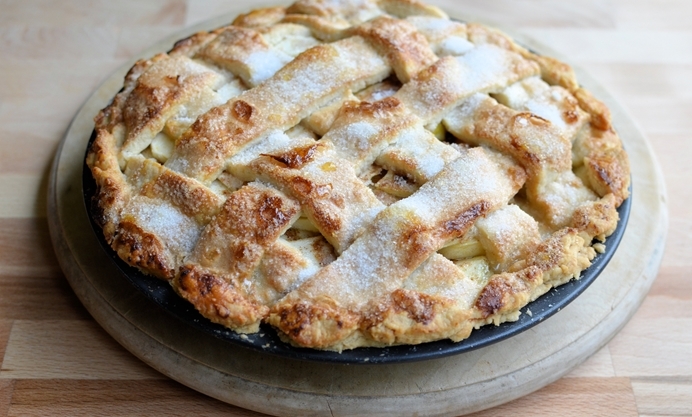 Karen helps us go back to basics with a good old fashioned apple pie recipe. 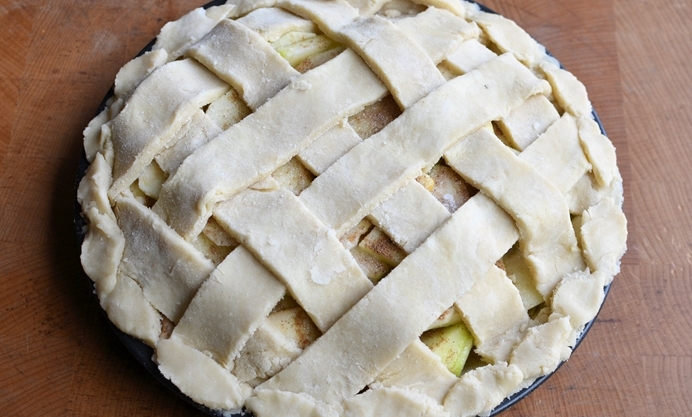 The lattice adds a pretty twist and Karen shares her tips for avoiding a soggy bottom, too. I love pies in all forms – from homely cheese and onion pies to deep dish cherry pies; they are always welcome on my kitchen table. Other pies that are likely to adorn my table are French galettes and pithiviers, pasties, mince pies, gala pork pies and raised game pie... and sausage plaits are also enjoyed with gusto – basically anything in a pastry crust gets my vote of approval. And yes, jam tarts and lemon meringue pies are also an important part of the pie stable in our household too. I decided to go right back to basics and make a classic, an apple pie! 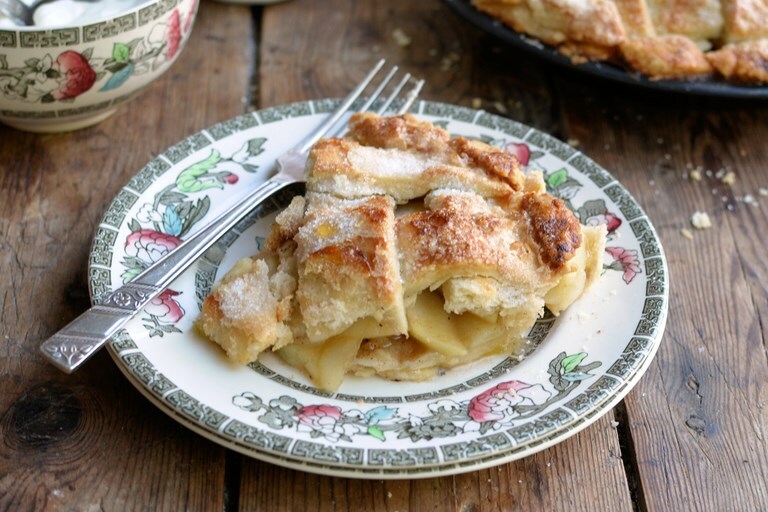 However, this apple pie has an old-fashioned lattice-top pie crust, which cuts back on the pastry element a bit and adds a touch of nostalgia to the recipe. It’s an easy recipe to make, although weaving the lattice work can be a bit tricky, but as you can see from the photos it’s well worth the effort. My recipe uses British Bramley apples that are dusted with a hint of mixed spice and brown sugar for a wonderful spiced filling. I never cook my apples before making an apple pie, I find that you are less likely to have a “soggy bottom” if you add thinly sliced raw apples to the pie. Another tip for avoiding a soggy derriere, is to mix some cornflour with the apples before adding them to the pie case – it soaks up the excess juice and creates a thick apple sauce inside the pie.